Atlanta is a city of delightful contradictions. The sedate, tree-lined neighborhoods at its heart belie its reputation as a global, fast-paced, vibrant city. Beneath its verdant canopy, businesses pulse with activity, discoveries are being made, and people know how to have outsized fun. An ideal location in terms of weather, transportation, culture, dining, and yes, beauty, Atlanta’s diverse offerings have something to appeal to everyone. 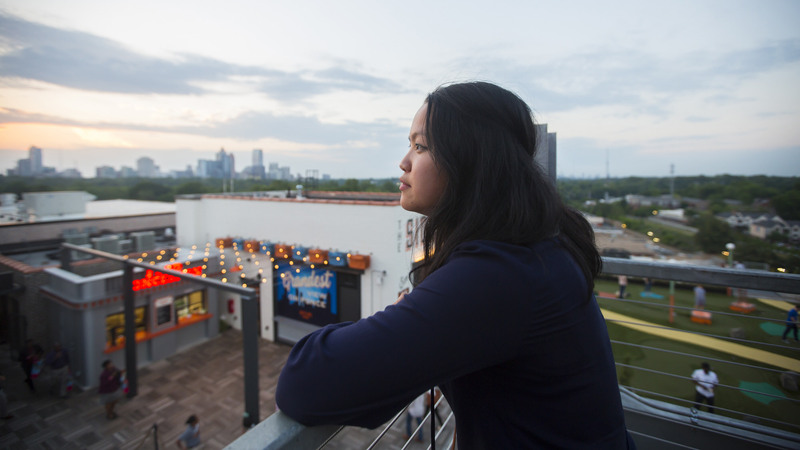 It’s the perfect city in which to unwind—relaxing in one of its many small or large parks, biking or walking along the BeltLine, taking in professional sports or arts offerings, and sampling the many types of cuisine found here. A 30-minute ride leads to Atlanta’s airport—the world’s busiest—from which you can get to anywhere in the world. Emory sits at the nexus of Atlanta—six miles from downtown, a 15-minute ride to Buckhead, a center of nightlife and shopping, and five miles to Midtown, where the expansive Piedmont Park as well as the city’s cultural center lies. We’re located in the stately, historic neighborhood of Druid Hills, with the small-town charm of Decatur and the kitschy, quirky fun of Little Five Points a quick shuttle or car ride away. You’ll find the neighborhoods of Atlanta diverse, welcoming, and never dull. Emory’s network of affiliations throughout the city extend to its next-door neighbor, the Centers for Disease Control and Prevention (CDC), as well as The Carter Center, the NGO founded by former US President Jimmy Carter, and the world headquarters for CARE in downtown Atlanta. Emory’s health care scope extends from Grady Memorial and Emory Midtown hospitals, both located in the heart of the city, to the nearby Atlanta VA Medical Center, to Emory’s myriad hospitals and clinics throughout the Atlanta metropolitan region. With a climate so temperate you’ll sometimes wear shorts in February, you’ll relish the spring here, saturated with vivid blooming flowers and the bright green of reborn trees, with plenty of arts and neighborhood festivals nestled among them. Atlanta is a city you’ll always be glad to call home, no matter how long you live here. Why Emory? What are the perks of living in Atlanta?